During the waning days of World War II, the Allies launched a horrific aerial assault on Dresden, a city that was known as the Florence of Germany. Nearly 4,000 tons of bombs leveled over 15 square miles of the city, killing upwards of 25,000 people. The devastation has been compared to what was later visited upon Hiroshima and Nagasaki. Many of the ruins remained largely untouched during the Soviet era, but after the Berlin Wall collapsed (along with the Soviet Union), Germany was reunified and a massive effort ensued to rebuild the stunning skyline set off by cathedral spires. Dresden today is once again a Florentian city of grace and charm, with re-born architectural wonders that dazzle the throngs who flock to the city's outdoor câfés around its central plaza. The city is supported by an integrated transportation system that seamlessly connects planes, trains, shipping, automobiles, streetcars, taxis, bicycles and pedestrian-friendly boulevards. The surrounding area is home to Volkswagen, BMW and Porsche factories, and the headquarters for the international shipper DHL. At eight percent, unemployment is still higher in this former Eastern bloc city than in the rest of Germany, where it's a little over six percent, but the rate has fallen steadily from the 13 to 15 percent levels following the 1990 reunification. Dresden, where I shot a music video last spring for singer Christina Linhardt, presented a stunning contrast for me to Detroit, my residence when the Wall came down. I was shocked when I first landed in Detroit in 1983. The city was in ruins. Countless numbers of its once glorious buildings, churches, offices, theaters, schools, railroad stations and homes were abandoned and left to rot. As in Dresden, some bore the scars of fires. It wasn't uncommon to see a burning house or a car in flames on the street. Whole blocks were gone and weeds grew where children once played. Factories crumbled where thousands of people had once earned a living in the auto industry and a solid place in the burgeoning post-war middle class. But it wasn't just the buildings that had been destroyed. The community was also laid to waste. Adult illiteracy rates hovered at 50 percent and unemployment in the city is around 25 percent overall and 34 percent for young African-American males—not taking into account those who'd just given up looking for work. We know what caused Dresden's destruction, but what brought down the city that during WWII was called the Arsenal of Democracy? And is Detroit a vision of our collective future? Might this once-thriving bastion of prosperity and industrial vitality be the proverbial canary in the coal mine, promulgating the pending doom that faces the rest of us? 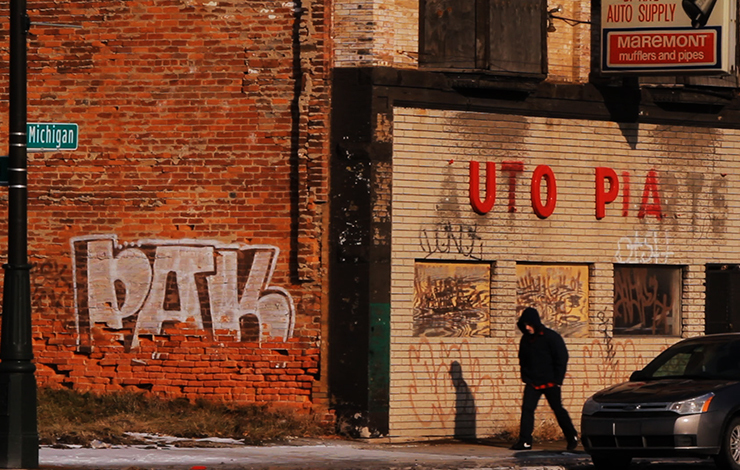 A new documentary film, Detropia, takes a poetic, deep dive into the dystopian experiences of what the wreckage of this city means and how it came to pass. Filmmaker Heidi Ewing, best known for her and filmmaking partner Rachel Grady's Academy Award-nominated Jesus Camp, grew up in the Detroit suburbs, and realized that the city was once the symbol of a "globalized world." She and Grady turned their cameras on Detroit to try to understand how a city that was "the bellwether for how much progress could be made as a country could lose it so fast." To Ewing this would be a "look in the mirror." She and Grady didn't go into the project with a particular narrative in mind. "What narrative?" Ewing asks, laughing at the film's lack of a traditional narrative structure that sets out to "prove a specific point." Instead, they opted for a more lyrical vision quest that takes viewers on a journey into this relatively unknown landscape strewn with rubble and dashed dreams. A startling array of beautifully shot and haunting images, set against an operatic score, which is organic to the film (given Ewing's family's longtime support of the Detroit Symphony), Detropia creates a dreamscape that takes the viewer into the inferno that's become the poster child for post-war economic collapse. Along the way, we encounter survivors--those left behind after the great migration from Detroit transformed it from America's fastest growing city in 1930 to a city in rapid decline starting in the late 1960s. Detroit's population dropped from 1.5 million in 1950 to about 700,000 in 2010. A Baptist minister once described the situation to me as one where "the birds with strong wings have flown away and only the birds with broken wings remain." Ewing and Grady take us into places where the people seem to have flown away in a hurry. We see eerie remnants of lives left behind in an old apartment building. "It was like the Rapture," Ewing notes. "People left mail in the door slots, clothes on the racks, furniture." The lobby of the boarded-up Lee Plaza Hotel reveals an upended grand piano amid its once elegant surroundings. The once-grand Michigan Central Railway station that Ewing remembers her mother and grandmother talking about is now boarded up. It's a hulking reminder of the days when all roads seemed to lead into the city. Now, Ewing observes, "Every road leads back to China." The filmmakers found that this wasn't lost on the scavengers who make a living tearing out the copper wires and steel left behind in the abandoned factories, homes, offices and schools. We see a group of brazen scavengers illegally invading an old Cadillac repair facility. Their haul will be sold and will probably end up in China, where it can be transformed into consumer goods for the world market--or used to build new factories. This wholesale dismantling of America's manufacturing capacity to be used to build factories in other countries to produce the goods once made here is what's kicked the legs out from under cities like Detroit. Some see this as the natural order of things, the "creative destruction" inherent in capitalism, and that eventually things will right themselves—that we'll retrain our workforce and plug them into a new economy of service jobs, with the financial sector at the top of the heap. Therein lies the rub. Executives and other major shareholders have no incentive to create jobs in this country. In fact, they have every incentive to do just the opposite. 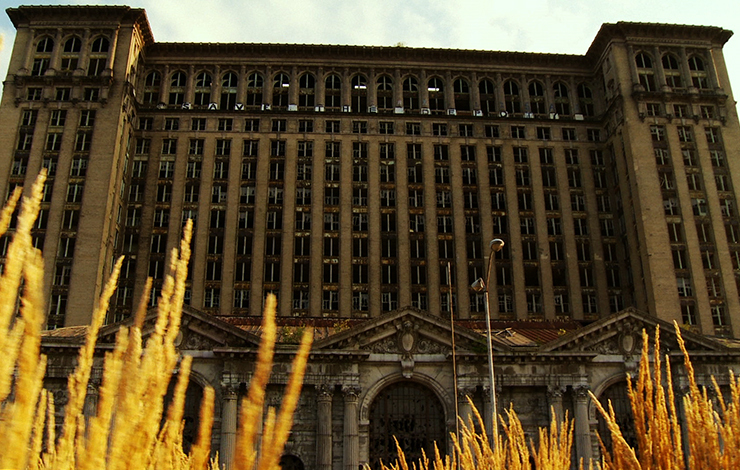 Detropia doesn't offer solutions to the financialization of the US economy, but it does point a vivid picture of what our world will be like unless we find the will to turn things around. Twelve years ago, Dresden was still festooned with the wreckage of the Allied firebombing campaign. Maybe we too can rebuild and revive and once again be a country that makes things for the world. After a strong reception on the festival circuit--beginning with an award for editing at the Sundance Film Festival—Ewing and Grady fielded some distribution deals that laid out a plan of a very limited release for little money and demanded that they sign over the rights to their film. The filmmakers rejected those offers and, reflecting the DIY, entrepreneurial spirit of the new economy, launched a Kickstarter campaign that brought in $85,000. They're using this haul to take the film out to more than 35 cities this fall, starting September 7 in New York City—a strong indication that the country is ready to think about the issues raised in Detropia. 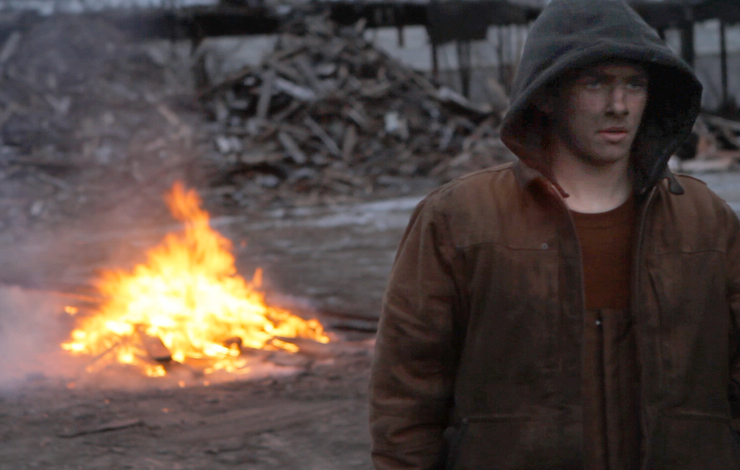 See the film for a look at a bleak future that may await the rest of us. It's not going to be confined to Detroit. This is a model that's coming to a dealership near you unless we demand that people come before profits. Michael Rose is an author, journalist, writer/producer/director.